DOW Filmtec BW30-400/34i RO Membrane 10500 GPD, a 8" x 40" high productivity brackish water Reverse Osmosis Membrane with iLEC(tm) Interlocking Endcaps that can provide RO quality water up to 10,500 gallons per day at a 15% recovery rate. It can operate at feed pressures ranging from 225 psi to 600 psi with 99.5% salt rejection. This element offers the highest quality water for large-scale industrial and municipal water treatment systems purifying greater than approximately 10 gpm (2300 L/h) of RO water and is the industry standard for reliable operation and production of the highest quality water in commercial applications. 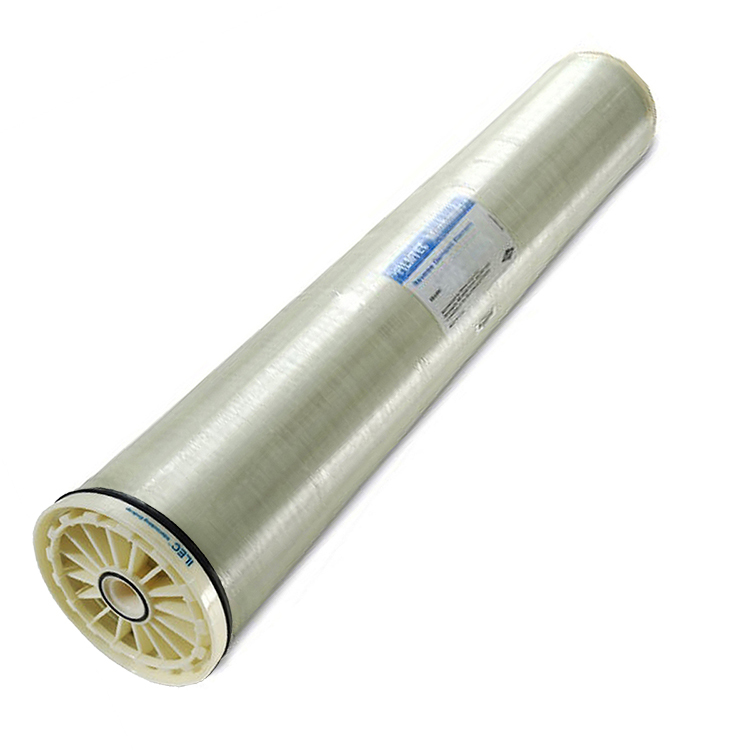 The first 400 square foot membrane elements on the market and continues to be widely used in new equipment and retrofits where system capital and productivity are factors. The element features the thickest feed spacer (34 mil) available in the industry today to lessen the impact of fouling as well as a fiberglassed shell. These elements are ideal for reverse osmosis plant managers and operators dealing with challenging water / wastewater looking for consistent, high performance, long element life and increased productivity. Durable and can be cleaned for Long Element Life.